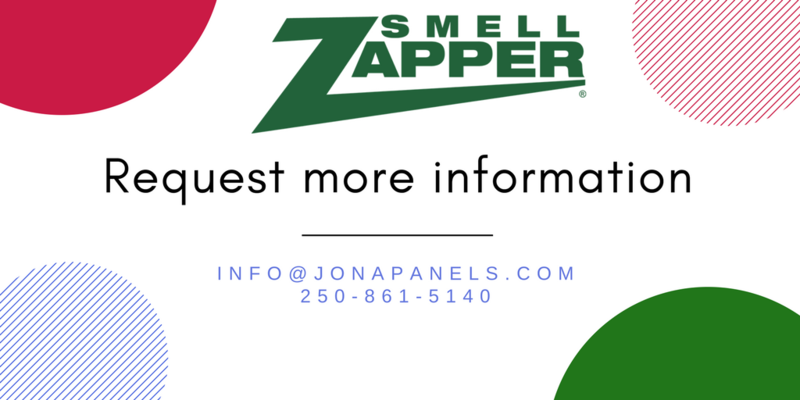 Smell Zapper Odor Eliminator, Spot & Stain Remover, Degreaser - Jona Panel Sales Inc.
Have you tried Smell Zapper? Leave a review on our Facebook page. See before & after videos & images on our Instagram Profile. For all your odor and stain issues, we have a Smell Zapper for you! Don't Cover Up The Odor, Eliminate The Source! Bio-Enzymatic Odor Remover for Underlayment, Furniture, Vehicles, Homes, etc. 1 Quart treats 50 cars! Can also be used as an RV/Marine tank treatment. Smoke Odor Eliminator - Quick & Permanent Smoke & Cannabis Odor Eliminator. 1 Quart treats 50 cars! Smell Zapper B-Gone Degreaser. For Tar/Adhesive/Grease/Asphalt/Oil Stains and any other impossible stain! Use on any finished surface!